raining sheep: a finished object, can you believe it? 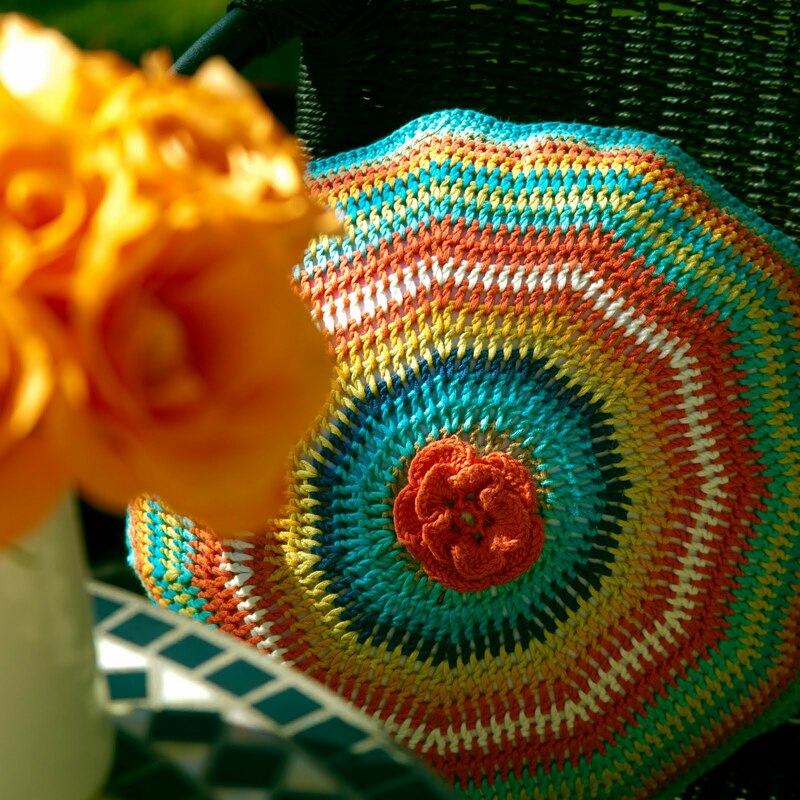 a finished object, can you believe it? Just popping in very quickly. I started my Uni course and I am so busy with that and work. Horribly behind in reading everyone's blog. Any spare minute I have I am either running or crocheting. I finished something...yipeee!!!! Is that pillow not the most scrumptious thing or what! I am so excited about it. What a hit of color. Today the sun is shining and the snow decided to melt away and spring is here...I hope...for a bit. So my pillow had to go outside to share my morning coffee with me. 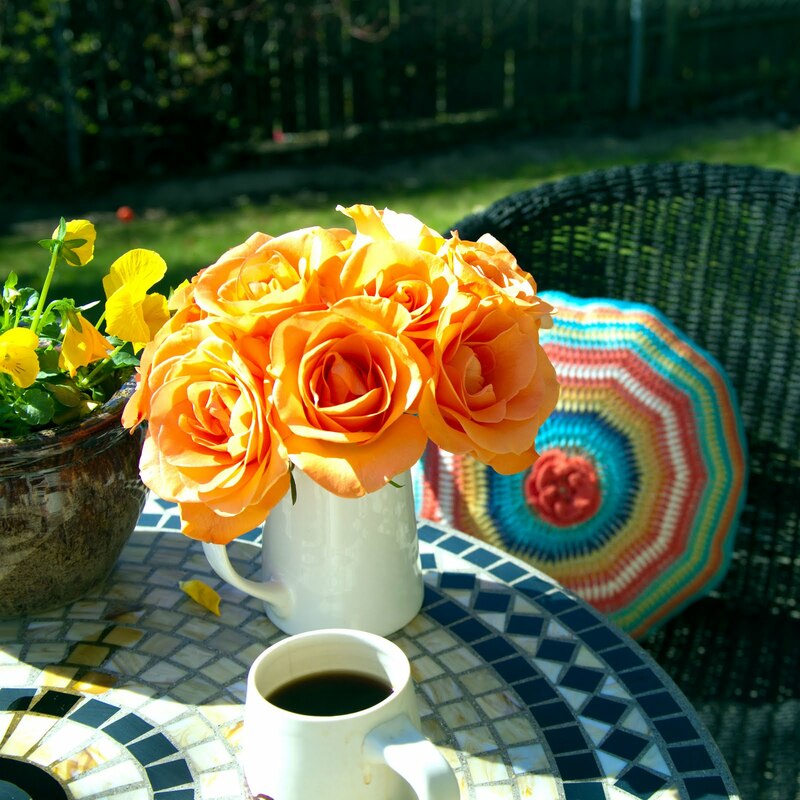 What a fabulous thing to behold - coffee, a bright crochet pillow and sunshine. Life is so grand. For you yarn lovers, the yarn is Sublime's cotton/soya blend. Beautiful, soft yarn - I love it. The pattern is here. Lucy's blog, Attic 24 is the best reference for simple, fun crochet goodness I have found. The flower came from some YouTube video that demonstrated how to crochet it - I have a blue flower on the other side of the pillow.